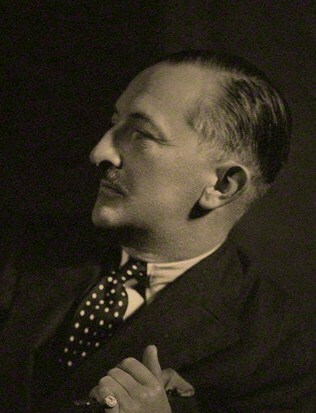 Herman Cyril McNeile (1888-1937) was a British veteran of the Great War who turned his time in combat into fiction under the pseudonym Sapper. And it was by that name that he became a household word in England while publishing his phenomenally successful novels about the exploits of Captain Bulldog Drummond. Sapper's theme in these books is one of the most important of the 20th century: the collusion between money-hungry capitalists and bloody-minded bolsheviks. Sapper gave the world Bulldog Drummond a full ten years before Leon Trotsky had fabricated the word "racist", and hence he was able to write the novel well outside the chilling influence of that ruinous neologism. Never hesitating to call an Englishman an Englishman, or a jew a jew, Sapper still retained the essential knowledge of racial reality which is indispensable for both the health of nations and for their peaceful coexistence. But preserving nations and fostering peace have never been high on the list of Marxist priorities, so the erosion of healthy racial consciousness has always been their modus operandi. That the Drummond books are now forgotten, and would be universally condemned today if appearing for the first time, tells us everything we need to know about who won the war. 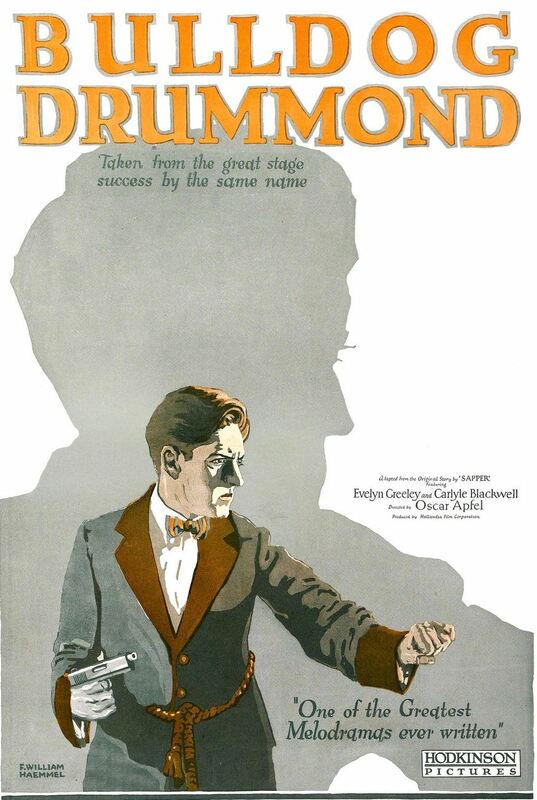 This, the first of the Bulldog Drummond stories, appeared in 1920 and became a national sensation in England. Reading it some ninety years later allows one to feel the steep decline in literacy that has taken place since Sapper's heyday. Although Sapper's thrillers were regarded at the time as penny dreadfuls, it's obvious that their value has endured. "Bulldog Drummond" is not only thrilling entertainment, it is also an insightful record of what an average Englishman thought of the political scene just after the Great War. Untouched by the diseased campaign to deaden all racial sensibilities which would soon envelop the West, Sapper wrote from the heart, and for the common man. Like all true Englishmen, Sapper and his hero Hugh Drummond are anti-Utopian. They resist foreign innovation for the sake of hearth and home, and they fight their enemy to the hilt. Sapper was in the trenches in France, and he put Drummond there, too. Though the story is set in the immediate aftermath of the war, the specter of political upheaval which drove that bloody affair hangs over every chapter. Consider the fact that Sapper was something of a Stephen King of the early 20th century, both in popularity and production. He was a prolific best-seller, and his books were frequently filmed. Yet what a contrast we find between what passes for popular literature today and what Every Man was reading back then. Drummond is self-consciously not an intellectual, and in fact some of his funniest lines are directed against the eggheads with guns who he is up against. And yet it would be wrong to call Drummond anti-intellectual either. He's a dashing but quixotic figure, shrewd yet refreshingly naive to the ways of the world. Trench combat has blessed him with a cool-blooded demeanor, without in any way removing his joie de vivre. He is both ugly and virile, and he possesses the wisdom of the folk. He is Falstaff on the streets of modern London. "Demobilised officer, finding peace incredibly tedious would welcome diversion. Legitimate if possible; but crime, of a comparatively humorous description, no objection. Excitement essential." Thus runs Captain Hugh Drummond's peacetime advertisement in the London Times in the summer of 1919. Having been flooded with responses from interested seekers, Drummond wisely settles on a damsel in distress. As the story opens, the lovely Phyllis Benton has been drawn into a murky web of criminal intrigue through one of her father's business relations. Carl Peterson is a newcomer to the Bentons' neighborhood in Surrey, but he is a master of disguise whose putative English pedigree Phyllis immediately distrusts. Peterson has taken to meeting and dining frequently with Phyllis' father. Having seen or overheard several angry exchanges between the men, and heard even worse of Peterson's cohort, Phyllis decides to seek a meeting with the anonymous demobilised officer. Instantly intrigued by the girl's story, and taken by her large eyes, Drummond commits on the spot. "Listen to me." Hugh Drummond's voice took on a deep, commanding ring, and against their will the four men looked at the broad, powerful soldier, whose sincerity shone clear in his face. "Not by revolutions and direct action will you make this island of ours right--though I am fully aware that that is the last thing you would wish to see happen. But with your brains, and for your own unscrupulous ends, you gull the working-man into believing it. And he, because you can talk with your tongues in your cheeks, is led away. He believes you will give him Utopia; whereas, in reality, you are leading him to hell. And you know it."